At the time, this struck a chord. One of my measures of success is to ‘work with great people’, and I had enjoyed working with this provider. To me, great people are those who are interested in doing the work and bringing their best efforts to it. I had observed how much faster the work flows and how clarity of decision making helps to smooth the path of working with software teams, even remotely! So, have you ever done this? Selected the people first and then figured out the plan? I’ve seen something like a hybrid approach, in that the big picture goal has been worked out, and then the team put together. Making sure you get the right people on the project team and the right mix of skills and intentions is important but how often does it get the level of attention it deserves? People are put on the P+L statement as an expense; equipment is put on the balance sheet as an investment. 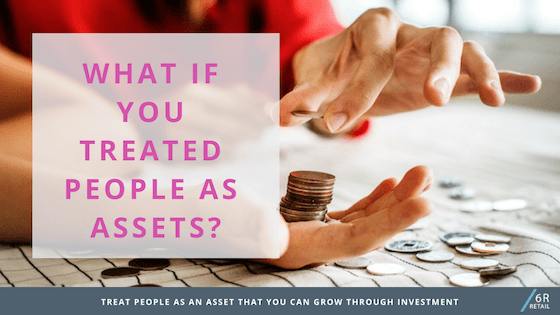 What if, instead of treating people as an expense, we treat people as assets and look to appreciate their value through development and learning? How would that be on the balance sheet? Imagine an organisation’s investment in people increasing in value over time instead of just increasing the liability accrued against their long service leave? Compelling statistics in a tide of what feels like a world of increasing dis-interest, dis-satisfaction and dis-engagement. Patty McCord, author of “Powerful” and a founding contributor to the legendary culture at Netflix, (you know, the slide deck that has been viewed more than 16 million times), documents the path that Netflix took to stripping away bureaucracy and developing strong disciplines in their culture. The focus was to take away as many layers as possible in terms of procedures and policies and create a trust that people already understand what the right thing is to do. What you call it is not the most important part. You can call it civility, or radical candour or a manifesto. The most important part is that the people part of the plan gets attention. And that we revisit it, frequently. The business of the business is evolving all the time, and so do teams need to evolve not just to meet the needs of the business but also the aspirations of the people in the team. In our project work, we work with teams who are at varying stages of development and evolution. Teams who are just starting out need vision and alignment of purpose according to this article and as teams grow, leaders need to adapt their style. Making sure that as your project comes to life you’ve considered how the people plan will evolve is a critical part of your success. We have seen exciting businesses with vision and ideas, with financial workability and operational expertise fall at the first hurdle because they have not thought through how to build out their team or create a decision-making framework that will allow them to move quickly. Making people an asset requires a shift in thinking and the ability to go against the status quo. Are you up for the challenge?